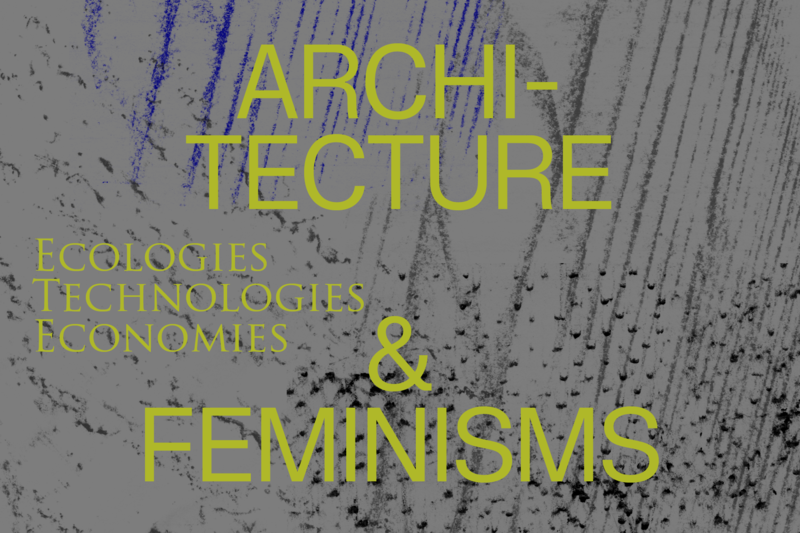 The 2016 AHRA conference will address connections between architecture and feminisms with an emphasis on plural expressions of feminist identity and non-identity. From radical feminist, to lesbian feminist, to black feminist, to post-colonial feminist, to crip feminist, to queer feminist, to trans feminist, to Sara Ahmed’s feminist killjoy, to feminist men, to posthuman feminist, to the liberal and neoliberal feminist, to material feminist, to marxist feminist, to eco feminist, to Roxane Gay’s popular Bad Feminist and many others, even to post feminist voices, the claim to feminism continues to be tested and contested. And this conference will be no exception. Between architecture and feminisms our specific focus will be upon transversal relations across ecologies, economies and technologies. Specifically, we are concerned with the exploration of ecologies of practice, the drawing out of alternative economies, and experimentation with mixed technologies, from craft to advanced computational technologies. We situate this call amidst what has come to be known as the Anthropocene, a controversial term that calls for the recognition of the formation of a geologic age in which global environmental conditions have been radically altered by accelerating processes of human driven industrialization. Architecture has fully participated in these processes, and we believe that an exploration of feminist, critical, and radical epistemologies and ontologies, methodologies and pedagogies in architecture – especially in light of the rise of artistic, design or practice-based research – might enable us to shift the values and habits that produce our near exhausted existential territories. Amidst what can be deemed a generalized, world-wide depletion of our material resources, social relations, and environments, we invite researchers and practitioners to explore how critical concepts and feminist design tools might offer radical and experimental approaches to creating more sustainable and resilient mental, social and environmental ecologies. We propose to open a space in which to exchange and collectivise current research on critical, radical and feminist approaches to architecture that can be applied by all to the relay between architectural discourse and practice. Although we acknowledge the historical and contemporary need for separatist spaces, we do not intend to create exclusionary places and practices, but to experiment with ways of ethically coping in a world that is becoming increasingly unstable and contested. Our call appropriates Isabelle Stenger’s cosmopolitics, wherein she outlines an ecology of practices as a form of ethical experimentation in the sciences, which we suggest can also be applied to architecture. We also draw our theoretical framework from Félix Guattari’s three ecologies: mental, social, and environmental, and their necessarily transversal relations. More generally we call for a thoroughgoing reengagement in histories and futures of feminist critical and radical practices toward reimagining our precarious environment-worlds. We invite participants to draw inspiration from the active archives of their feminist and radically engaged precursors, existing, and reimagined, whose diverse projects, manifestos, and concepts can be reinvented in opposition to arguments that declare the approach of the end-times. And great thanks to the DOME OF VISIONS: Björn Norberg and Charlotte Saltskog!